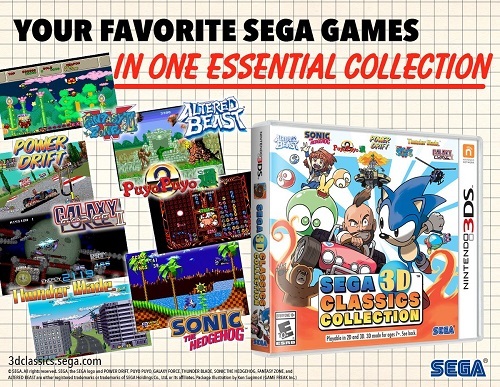 Released back in April in North America, the SEGA 3D Classics Collection is a collection of SEGA 3D Classics games released at retail. It’s based on the second compilation, released last year in Japan, and includes some bonus titles not released separately. Unfortunately, the collection is still not available in Europe, but at least, SEGA does have plan to release it in that region. Today, a rating for the SEGA 3D Classics Collection popped up on the website of the ACB (Australian Classification Board), confirming that the game would indeed be released in that country (and therefore in Europe too). Naturally, SEGA should make a proper announcement within the next few weeks! Head after the break for the rest of this post! Yesterday, Mitch Fowler announced that he would be at the Late Show with Stephen Colbert on Friday, in order to speedrun Super Mario Bros. 3! In an interview with Inquisitr, Dan Neil from Toys For Bob confirmed that the Mario and Browser Skylanders figures from Skylanders SuperCharger would indeed be compatible with the latest Skylanders game, Skylanders Imaginators. Adventure Labyrinth Story has passed lotcheck at Nintendo of Europe, and should be released sometime in July. We can expect the North American release to follw shortly after. Yesterday, GameSpot published an interview with Shinjiro Takata (Producer, Atlus) and Hitoshi Yamagami (Producer, Nintendo), about Tokyo Mirage Sessions #FE. It covers various topics, such as changes made during localisation, the upbeat tone of the game, why they let Atlus localise the game, and more. Click here to check it out!